I have so many things to share with you! 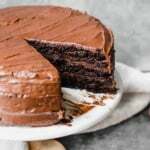 I just won my first baking contest! Jumping for joy! 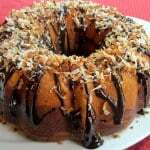 The contest was for Nordic Ware where you had to use a Bundt Pan and bake something that represented heritage and tradition. The grand prize winner gets to go to NYC and tickets to the Martha Stewart show for Bundt Pan week! I find out next week, so I’ll keep you posted. 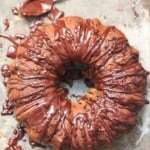 I won with a Chocolate-Coconut and Pumpkin Marble Bundt Cake. 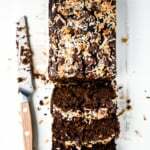 I topped it with chocolate and toasted coconut. It was incredibly delicious and moist. You can see it here. Don’t worry, I’ll post the recipe here eventually. I noticed that feeling marvelous is followed by appreciation. Like smiling at everyone and noticing all the good in people. Small things count; they matter. Little babies giggling at their moms in the grocery store, people holding doors and waiting – just to be kind, generosity, and a simple please or a thank you. These things make me happy. These things keep me well-grounded. 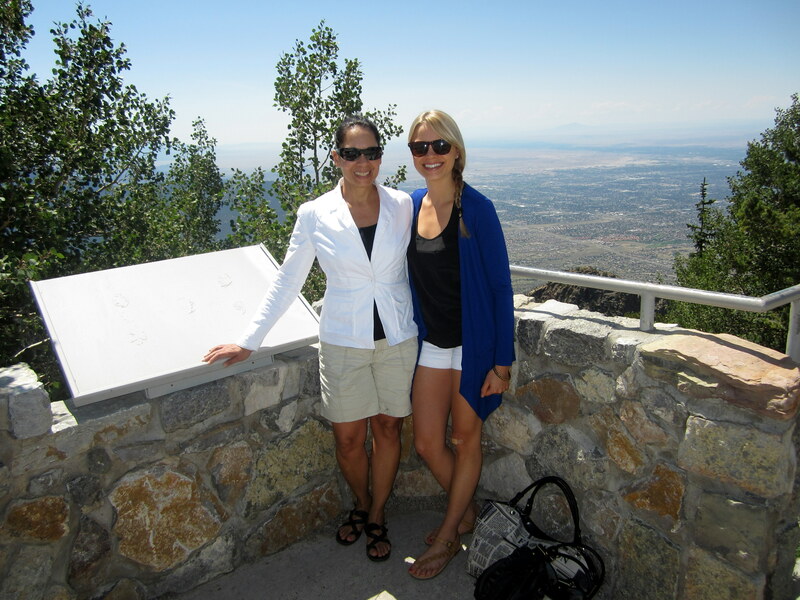 I appreciate my Mom. I called her right away when I found out I won the contest. She was proud. These baking skills began with her teaching, patience and love. Thanks Mom! It’s been Pumpkin mania in my house. 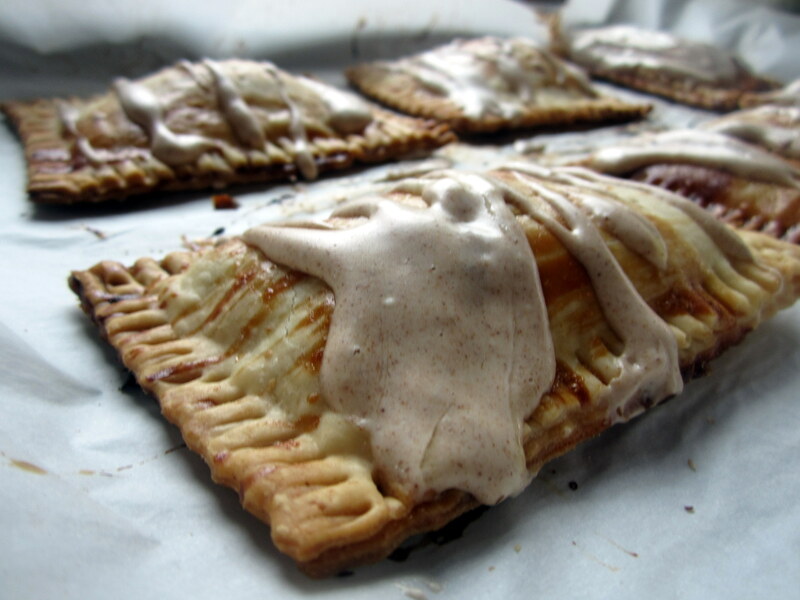 Pumpkin Pop tarts? Yes, please! Pop tarts were the best breakfast when you were a kid. I always had mine warm and toasted. A real sugar high before school, but always a favorite. 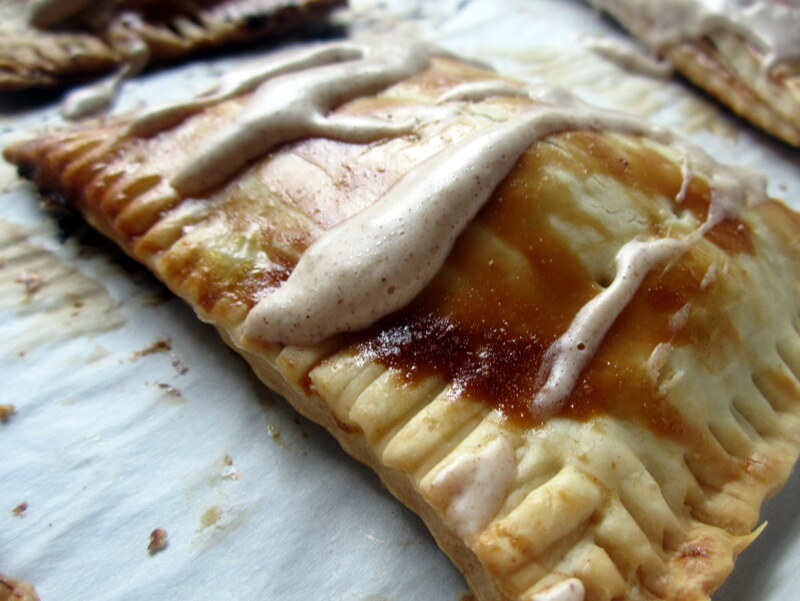 Pop tarts that taste like pumpkin pie… You already know I’m obsessed. They are actually quite easy to make too! I used a basic pie dough recipe to make the outside crust. 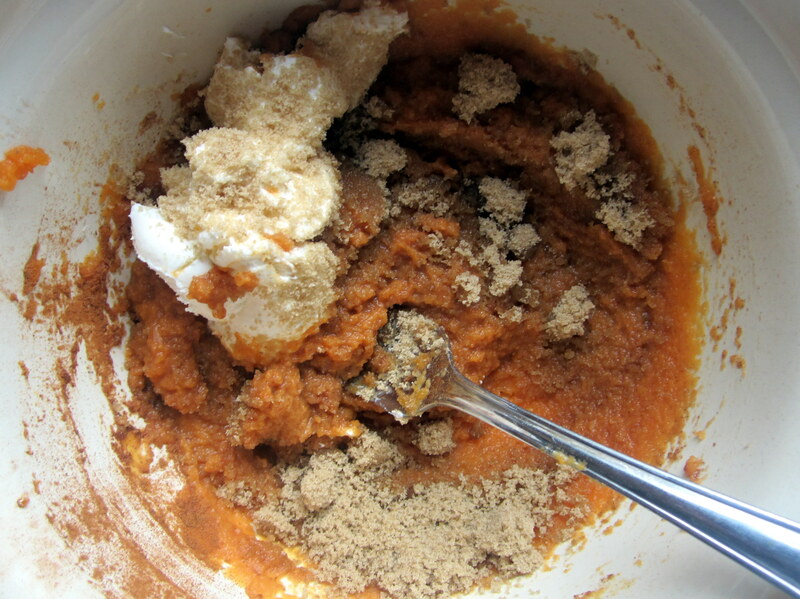 Then I mixed together a little pumpkin, cream cheese,brown sugar, and spices. I spread a little onto the dough. I topped with more pie dough and seal the edges with a fork. Of course, poking the middle for ventilation is crucial and cute! These lovelies were brushed with a little melted butter. I stared at how beautiful they were for quite sometime. The house smelt like pastries and pumpkin pie. They came out gorgeously golden brown. Now who could forget the best part? 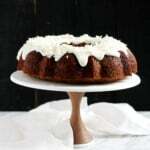 Maple Cream Cheese frosting! Oh heaven, this was good drizzled on top. I decided they were too sugary for me at breakfast time. They just screamed dessert. 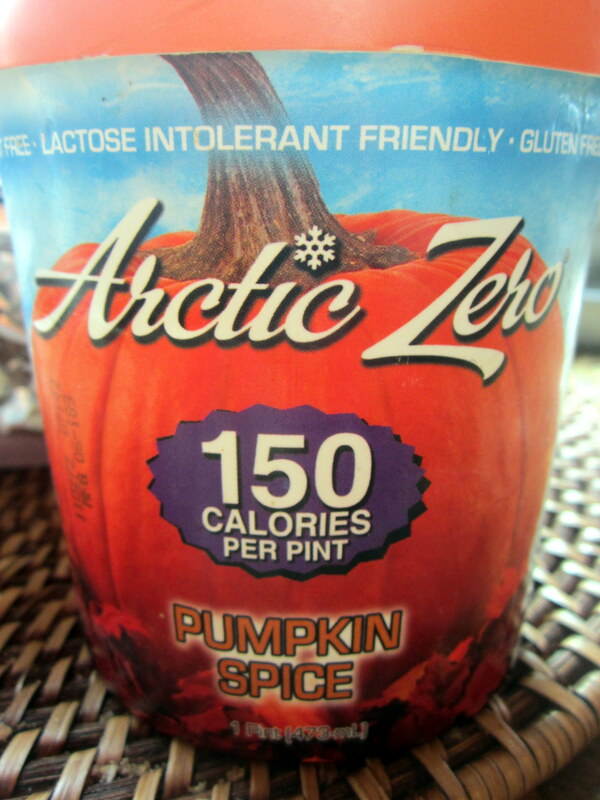 Arctic Zero had sent me a pint of Pumpkin Spice Ice Cream that paired perfectly with my warm Pumpkin Pop Tart. I was surprised at how healthy this was. 150 calories for the WHOLE pint! It’s not actually ice cream but more like a frozen protein shake. Tastes just like ice cream though and it’s gluten-free. They have a great variety of flavors to choose from. I like peanut butter chocolate flavor A LOT. Strawberry was fabulous too. You’ve gotta try this stuff! 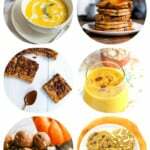 Get on the pumpkin bandwagon and make these! **Arctic Zero did not pay me for this review, but did send me free samples of their product. In a medium bowl, whisk flour, cinnamon, sugar and salt together. Put in a food processor and add the cubed cold butter. Pulse until it resembles small peas. In a separate small bowl, beat the egg with the milk. Add the egg mixture to the food processor with the dough. Pulse until just mixed. Spread some flour on a surface and knead the dough until it comes together well. Divide into two balls, wrap in plastic, and place in refrigerator for about 30 minutes. While dough is chilling, line 2 – 9×13 baking pans with parchment paper and pre heat oven to 350 degrees F.
In medium bowl mix pumpkin, cream cheese, brown sugar, egg, pumpkin pie spice and cinnamon together. Place in refrigerator. Get out your dough and on a well floured surface, roll out to about 1/8 thickness. 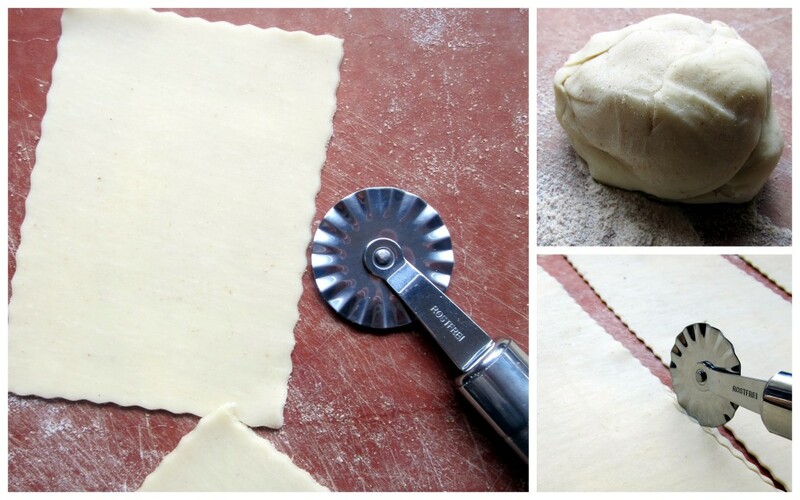 Trim dough with pastry cutter, or a pizza cutter will work. 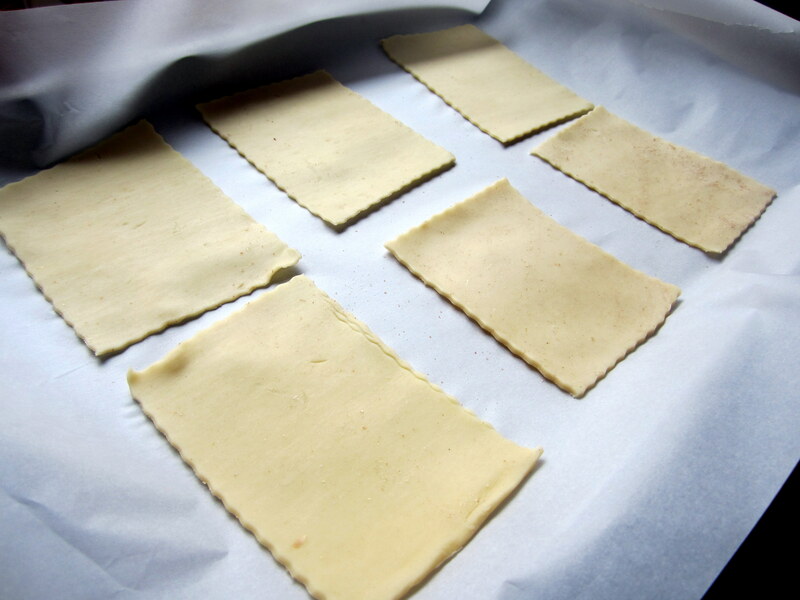 You can cut your dough in 3×5 inch rectangles. You should be able to roll out about 9 rectangles. Then place on parchment paper. Next you can roll out the second piece of dough and cut the same way. 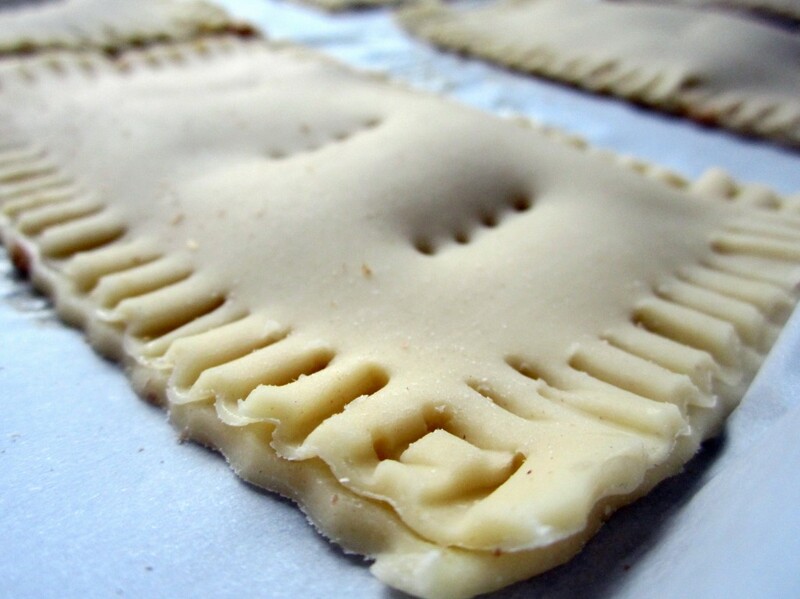 Brush one side of 9 rectangles with either melted butter or beaten egg- this will help hold together the top layer of dough. 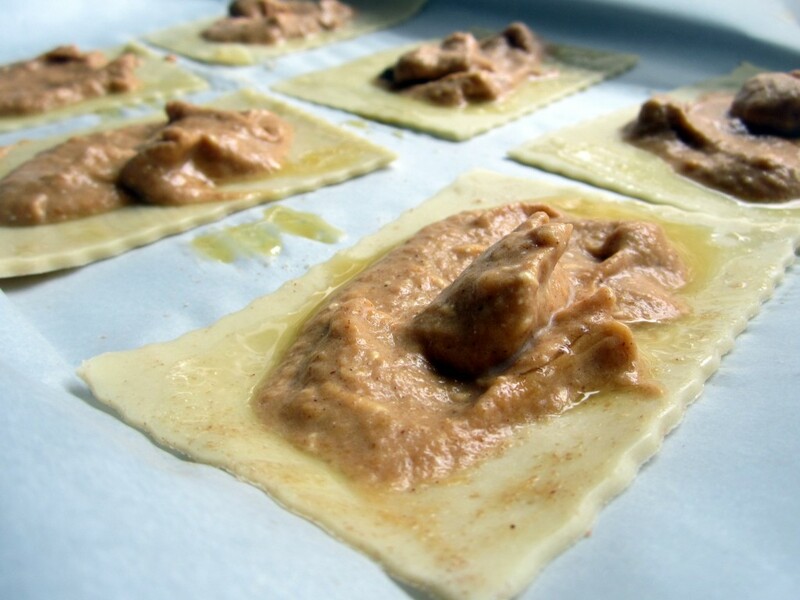 Take out your pumpkin-cream cheese mix from the refrigerator and place 1 tablespoon of mix onto each brushed dough rectangle. Top with another piece of tough and use a fork to seal the edges and poke three holes on top to vent. Brush with melted butter. 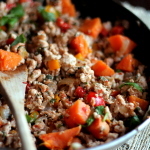 Bake for about 20 – 25 minutes or until the top is golden brown. Cool on wire rack. 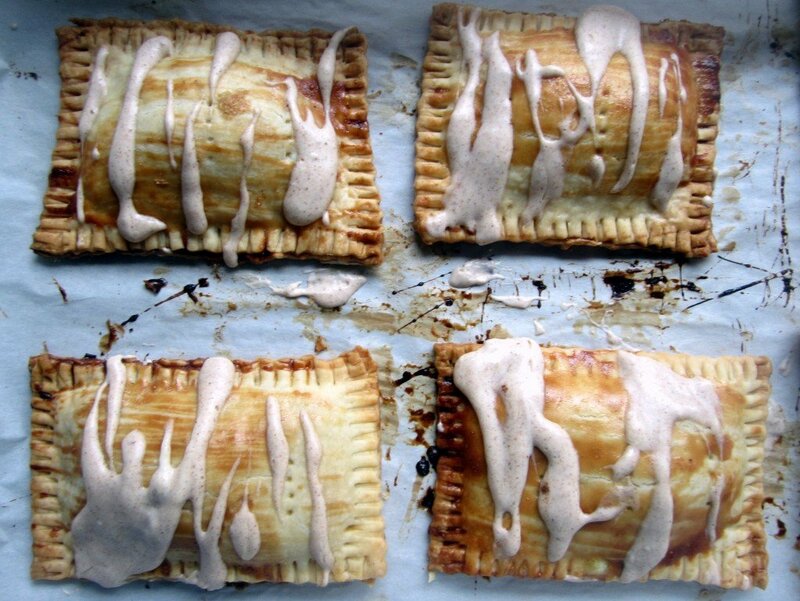 Once pop tarts are fairly cool, mix together cream cheese, maple syrup and cinnamon in a small microwavable bowl. Microwave on high for 20 seconds. 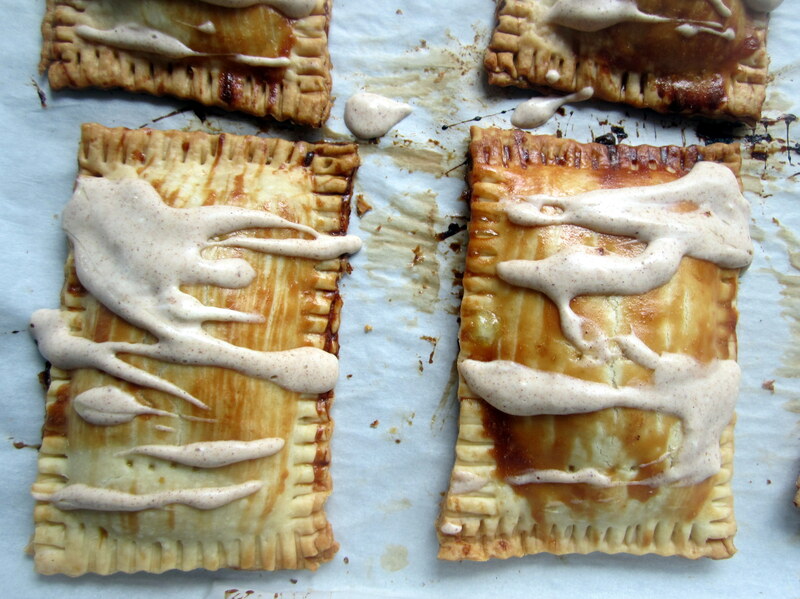 Stir until creamy and drizzle on top of pop tarts. 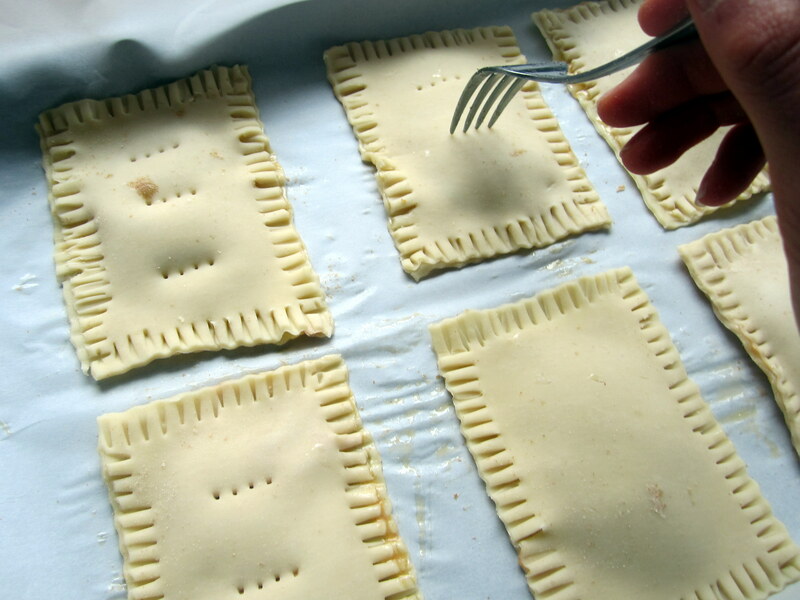 Serve immediately while glaze and pop tarts are still warm. 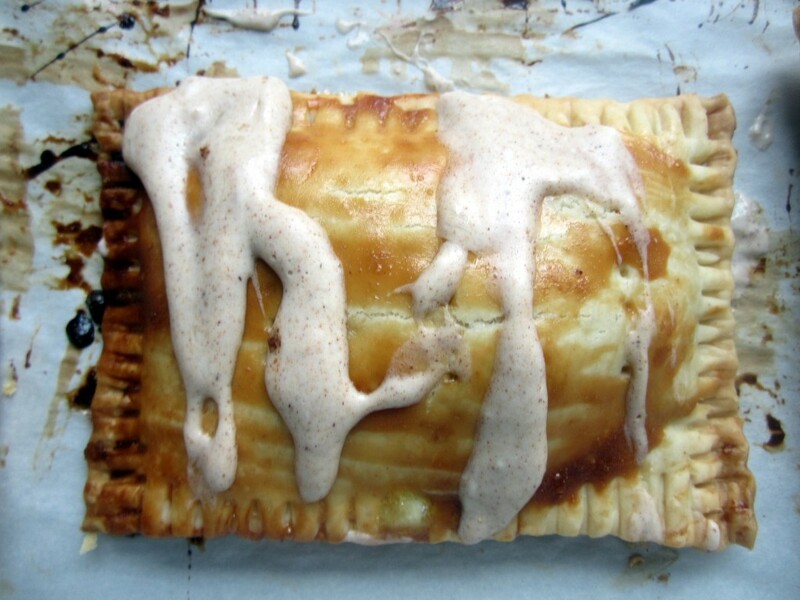 6 Responses to "Pumpkin Cream Cheese Pop Tarts with Maple Cream Cheese Frosting"
Came over to your blog from the MN food bloggers feature — I LOVE this recipe. It’s going on my Must-Make for Fall list!! Looks like a superb treat. These look wonderful! My husband will be extatic when I make them. Any idea how to make a strawberry or raspberry variation, for variety?